I’m On eBay Buying and Selling Baby! 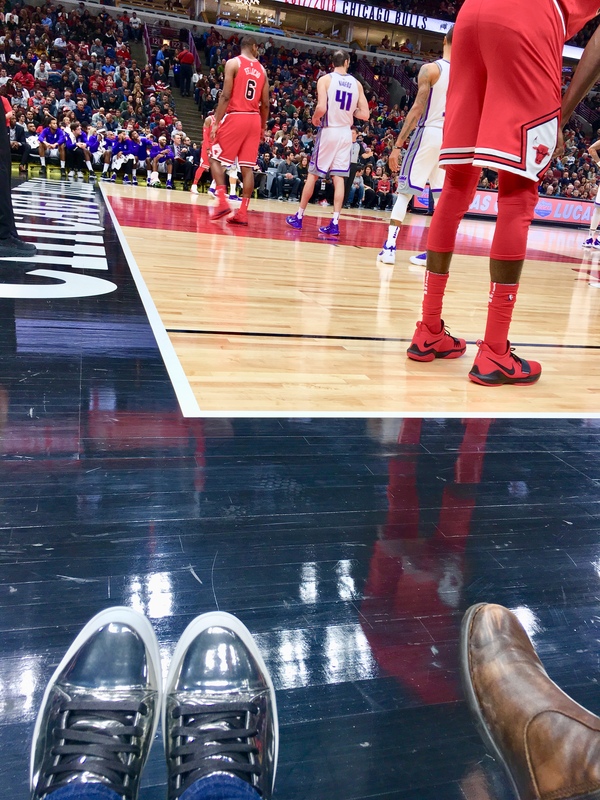 Me on the floor watching the Bulls lose to the Kings in my chrome kicks. As everyone knows I shop a lot. I’m that person, that at any given time has things hanging in their closet unworn, with the tags still on. Yep, that’s me, the ultimate consumer. So I’ve decided to put some fabulousness on eBay! I’m just dipping a perfectly pedicured toe into it’s murky waters to check it out. And make some much needed space for new things! This entry was posted in Celebrity, Current Affairs, Fashion and tagged Air Jordan, Diesel, eBay, fashion, gym shoes, John Varvatos, menswear, Nike, shopping, Sneakers, style, Trainers on December 4, 2017 by Marcellas Reynolds.